Do you want to add extra notes with your repair? Do you want those notes to be seen just inside the organization or make them available for customer as well? 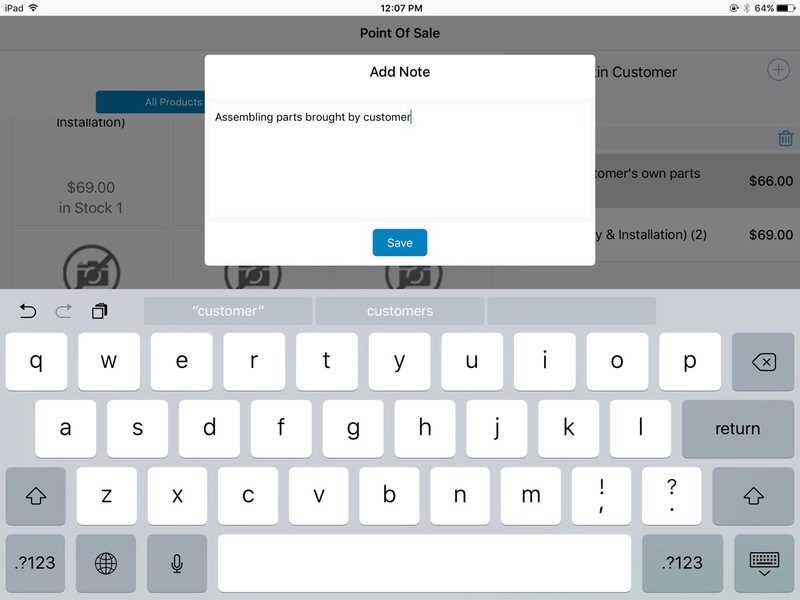 RepairDesk iPad App allows you to add diagnostic notes and internal notes with repairs via iPad screen. You can even add notes with accessories as well. 1. 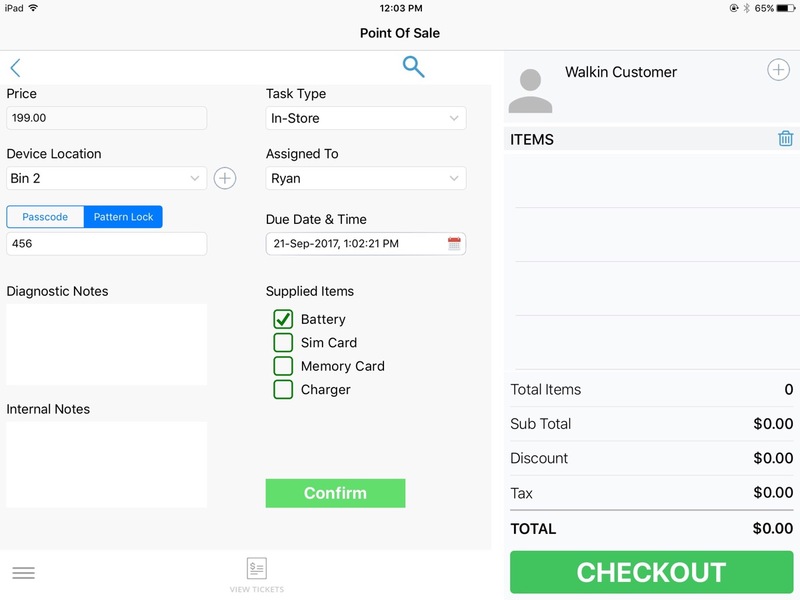 While creating a ticket you would see the option to add Private Notes and Diagnostic Notes on the left side of screen. 2. 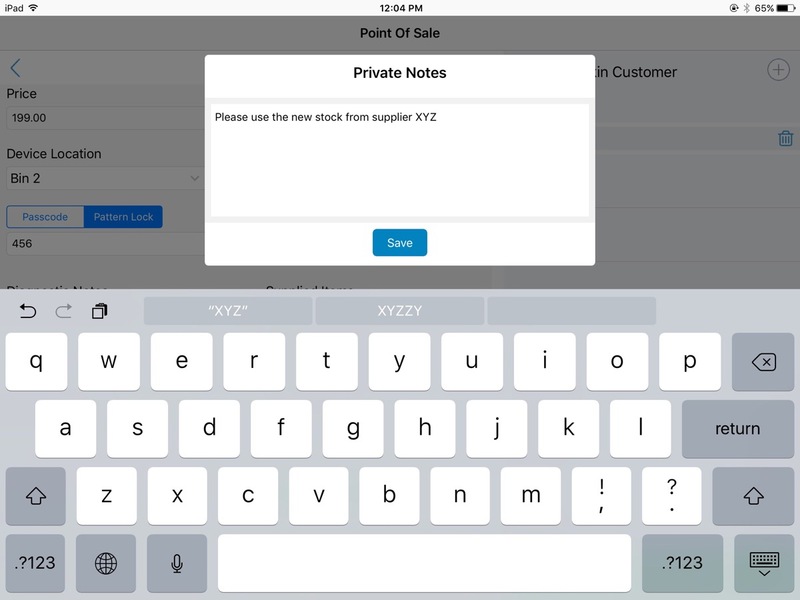 If you want to add Private Notes , tap in the field box of private notes and start adding the notes. Once you are done tap on Save to save the notes. These notes are Internal Notes and can only be seen by you and your employees. 3. In case you want to add Diagnostic Notes , tap in the field box of diagnostic notes and start adding the notes. Once you are done tap on Save to save the notes. These diagnostic notes will appear on customer's invoice as well and would be visible publically. Note: Diagnostic notes would appear on the receipt as well while private notes would only be accessible to the employees of company.